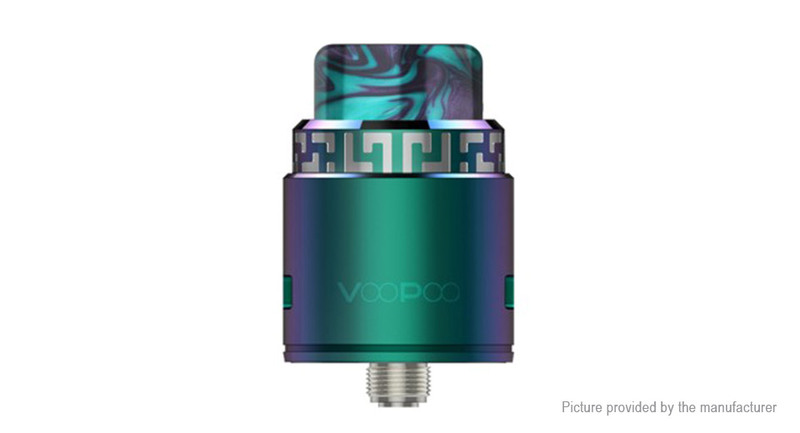 VOOPOO RUNE is created for a new user-friendly experience. This RDA is compatible with both squonk and usual pin. RUNE’s electrode-mast-free base allows for maximum E-liquid capacity. Its vertical coil connection structure enables vapors to enjoy a simpler DIY process. The four wells direct bottom-feeding-to-side juice creates an incredible cloud and flavor with no juice over-spray. Adjustable Sideling Airflows: There are four adjustable airflow holes. Different opening methods encourage more possibilities of flavors and the RDA itself. Sideling airflow tubes lengthen the distance of airflow for a better flavor.